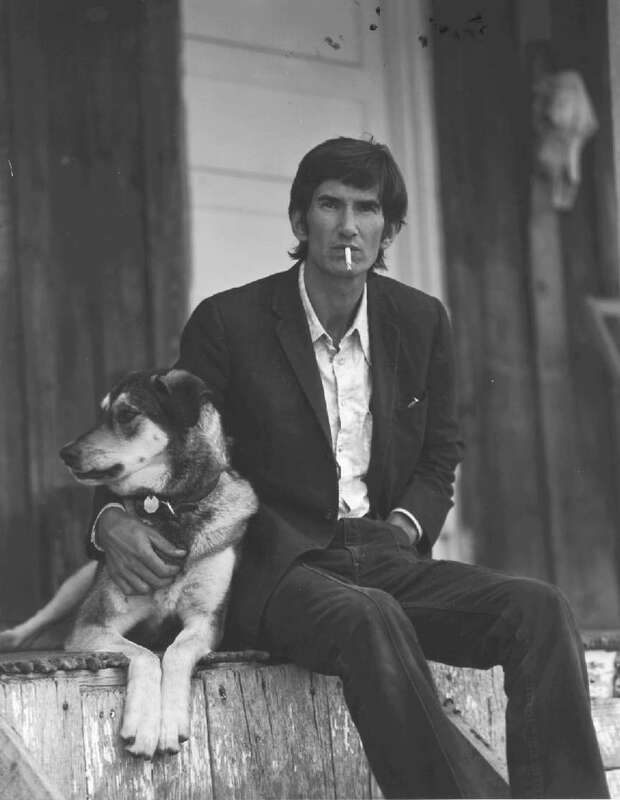 The legacy of songwriter Townes Van Zandt stands as tall as Texas, and his music has influenced everyone from Willie Nelson to Wilco. So it’s no surprise that in Austin, the live music capital of the world, the storied Van Zandt legacy has also inspired a bold new hotel by the same name. The Hotel Van Zandt sits in the heart of the bustling Rainey Street District, where bars and cocktail lounges operate out of mid-century bungalows and food trucks serve tacos and tapas late into the night. But unlike its funky neighbors, the sixteen-story Van Zandt is a chic and sophisticated property that mixes old-school Texan charm with edgy modern design that riffs on Austin’s music scene. Trombone-inspired chandeliers hang in the spacious lobby and play off exposed brick and steel-framed windows, while guests sink into oversized whiskey-colored leather sofas beside a Paul Villinski installation of birds fashioned from vinyl records—including an LP from Townes himself—flying from a vintage phonograph. The vibe is upscale urban cool fused with what New York–based designer Mark Zeff calls “a great history of elegance and Texas gentry,” and music is at its core. It’s a space where guests can experience live music in a natural way, as if they were kicking back in their living room, albeit a very stylish one with an in-house stage and killer views of the city’s skyline. Named for a beloved local guinea fowl as well as Townes Van Zandt’s dog, Geraldine’s features some of Austin’s favorite homegrown live acts seven days a week. It’s a space where guests can experience live music in a natural way, as if they were kicking back in their living room, albeit a very stylish one with an in-house stage and killer views of the city’s skyline. Beyond the music, Geraldine’s has fast become Austin’s hottest dinner reservation thanks to Uchi veteran Chef Frank Mnuk. Nostalgic Southern-inspired fare gets a modern Asian kick with innovative dishes like the fork-tender barbecued short ribs topped with pickled carrots and crispy furikake, or the smoky yellowtail taco served in a taro root “tortilla” shell. Head bartender Jennifer Keyser infuses humor into Austin-themed craft cocktails, such as the Willie’s Cup, a heady mix of rye whiskey, hemp milk, and sage that is served in a steel vessel wrapped with a red bandana and fastened with a roach clip. From kush krimps on cocktails to complimentary custom bikes in the lobby for urban exploration, it’s the details that set Hotel Van Zandt apart. High-tech amenities such as fiber Internet and Bluetooth speakers combine with warm personal touches like the thoughtfully curated, locally designed posters that hang in every room. From kush krimps on cocktails to complimentary custom bikes in the lobby for urban exploration, it’s the details that set Hotel Van Zandt apart.